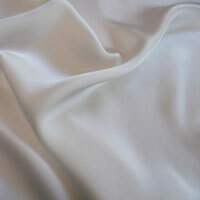 Exotic Silks has production capacity at hundreds of specialized mills in the Orient. We can supply custom colors and patterns for your order with the necessary minimum quantity. Generally, minimum per color is 350 yards, and minimum for a new weave is 500-1000 yards. Minimum for prints and handpaints is 500 yards per order, 300 yards per pattern/color. Production times and exact minimums will be quoted for your specific requirements. A deposit is required with each special order.